Stealth Series microphone leads. Low noise balanced mic cable fitted with neutrik connectors NC3MXXBAG and NC3FXXBAG. 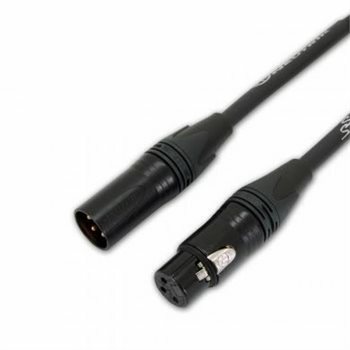 Black cable, black connectors with silver contacts. Leads come with black stealth series heat shrink.